Click here for location directions! 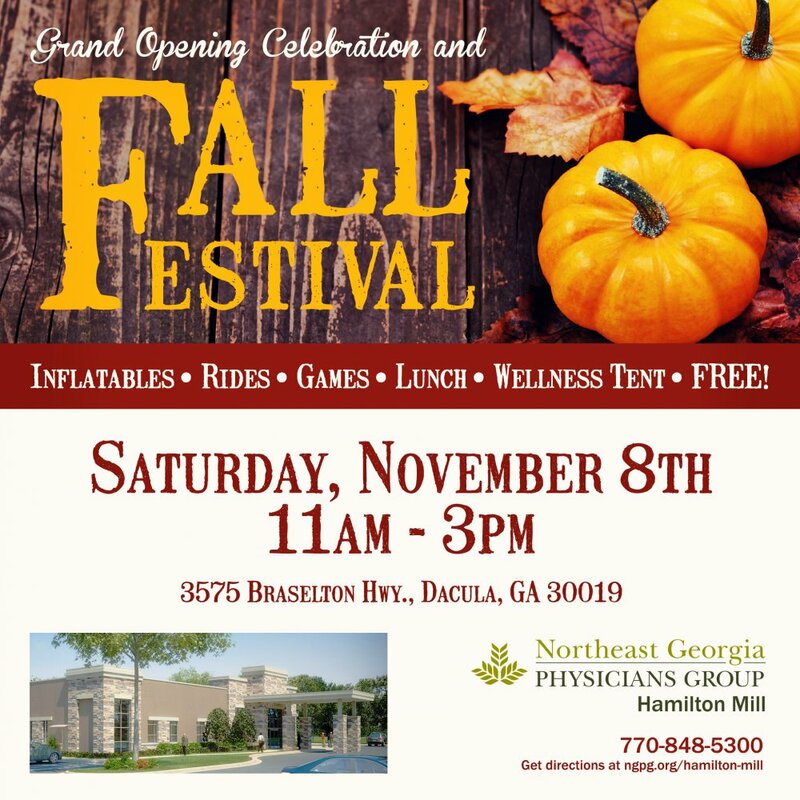 DACULA, Ga. – Inchol Yun, MD; Jody Bahnmiller, MD; and the staff at Northeast Georgia Physicians Group (NGPG) Hamilton Mill will celebrate their grand opening with a free fall festival on Saturday, November 8. NGPG Hamilton Mill invites you and your family to attend the grand opening fall festival from 11 a.m. – 3 p.m. at 3575 Braselton Highway in Dacula. Come tour the new location while taking advantage of free blood pressure checks, BMI screenings, vision screenings, rides, games, lunch, activities for kids and much more. To schedule an appointment, call 770-848-5300. For directions to the event or more information about NGPG Hamilton Mill, visit www.ngpg.org/HamiltonMill .